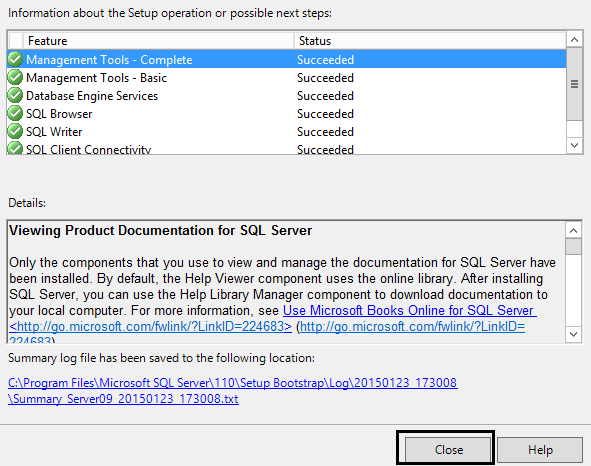 This is a step-by-step guide on how to install SQL Server 2012. 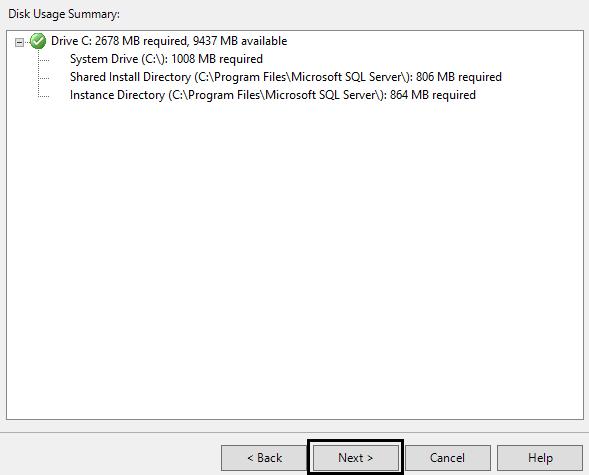 You can use this installation as the basis for the SQL instance, where you will store the database for XenApp 6.5 or System Center Configuration Manager 2012. 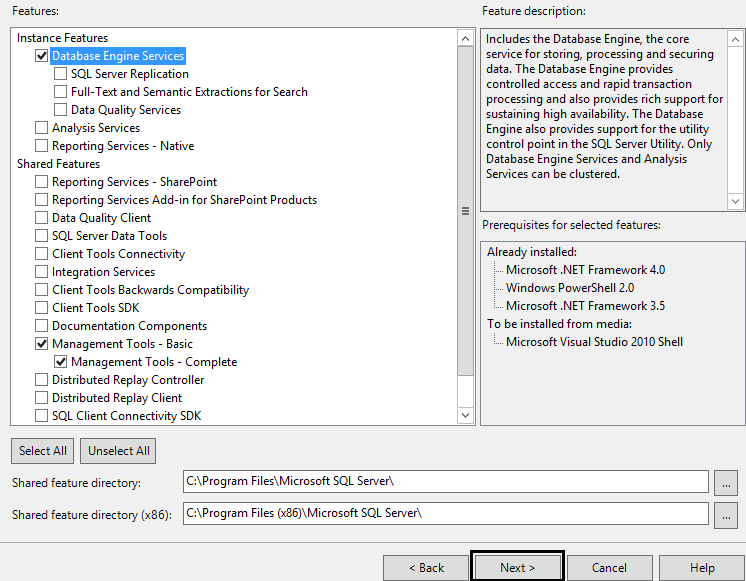 We will only install the Database Engine Services in this guide, because that’s the only requirement for a basic XenApp 6.5 or SCCM 2012 installation. The other services are used to perform optional tasks only. 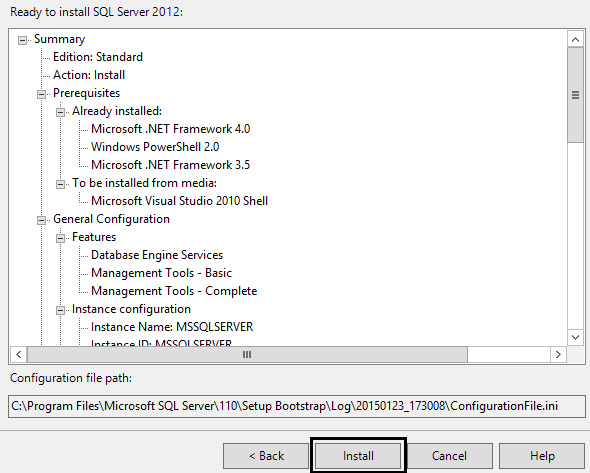 1.1 If you are installing SQL Server 2012 on Windows Server 2008 R2, you will have to add the .Net Framework 3.51 feature on the server, as its a prerequisite for installing Sql Server 2012. 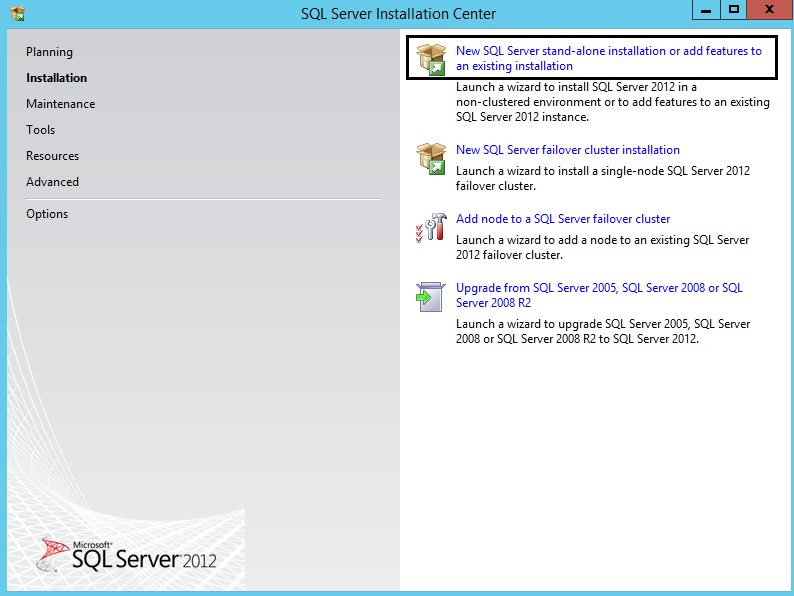 If you are installing it on Windows Server 2012 or higher, it will be pre-installed. 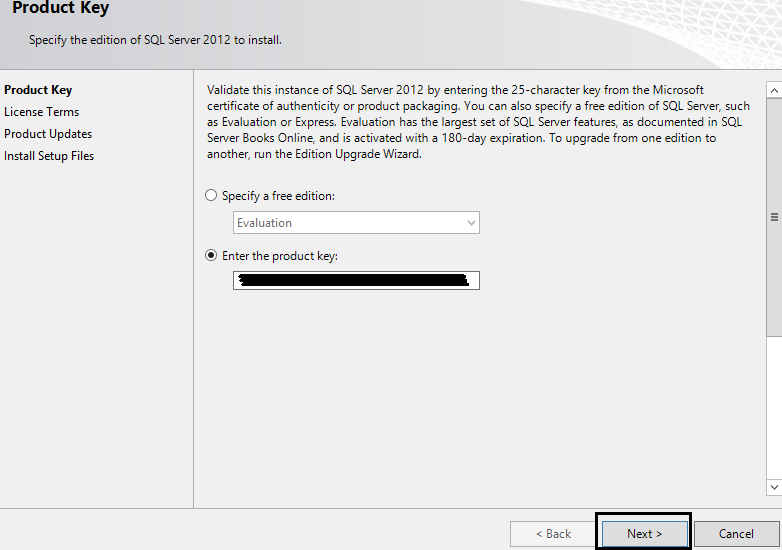 1.3 Click Installation, and then choose New SQL Server stand-alone installation or add features to an existing installation. 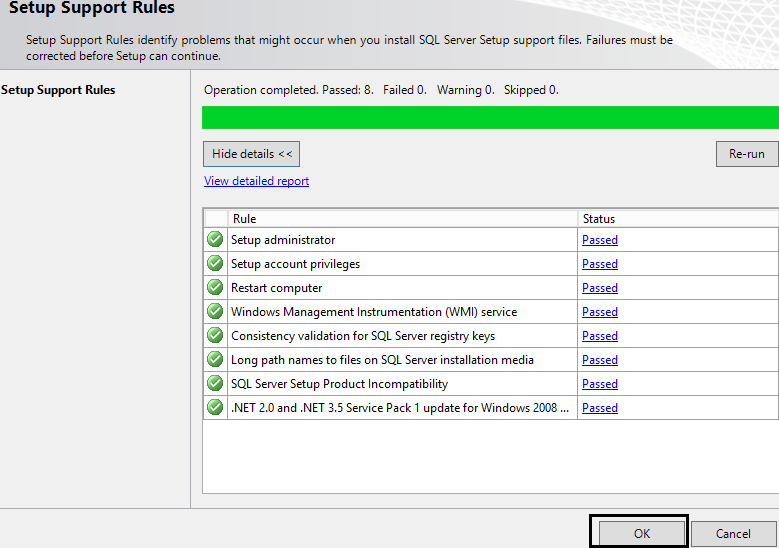 1.4 Setup Support Rules are run. 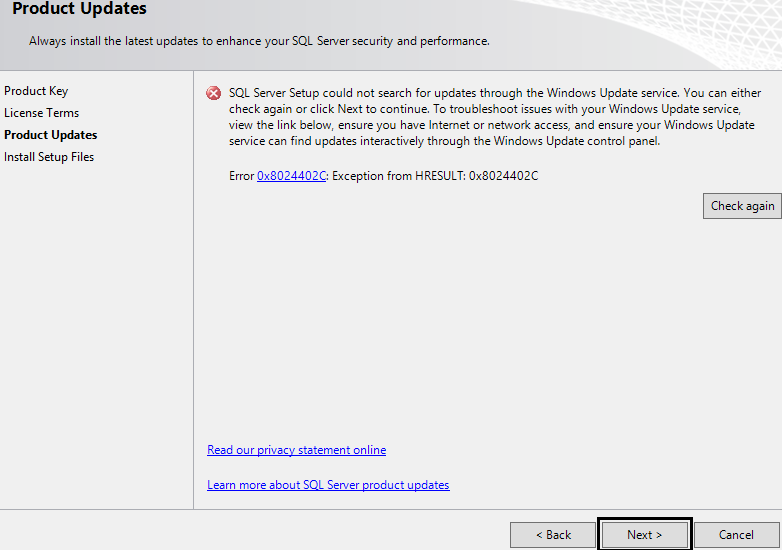 Click OK.
Windows Firewall Warning – You can see a list of Firewall ports used by the SQL server in this article on Technet. 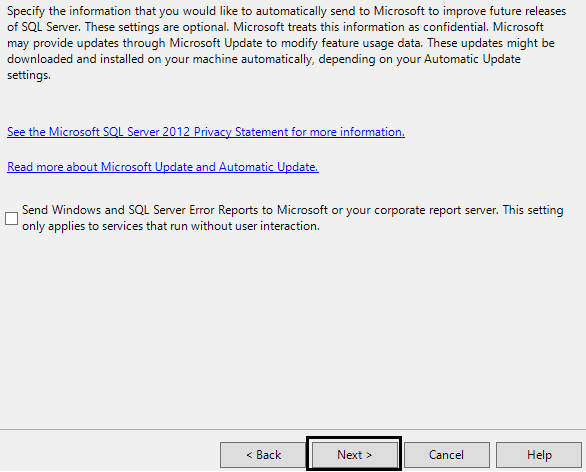 Just make sure to at least open port 1433, otherwise you will not be able to make remote connections to the SQL Server. 1.10 Next up is the Feature Selection Screen. 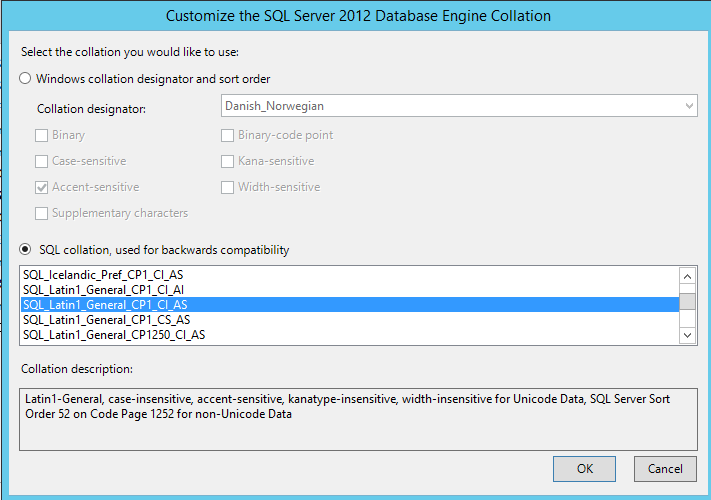 Choose Database Engine Services, Management Tools- Basic and Management Tools – Complete. 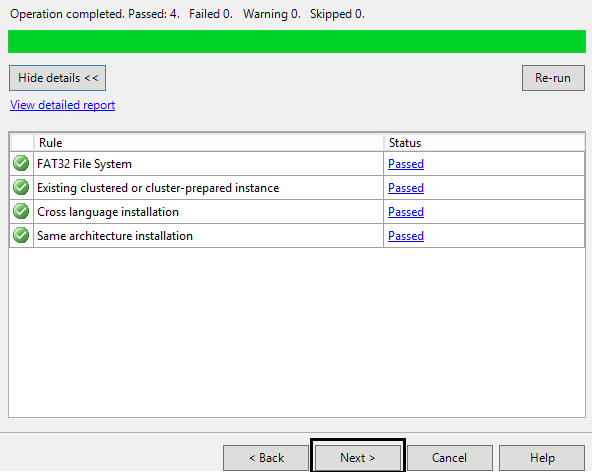 When you are done choosing which features you want to install, click Next. 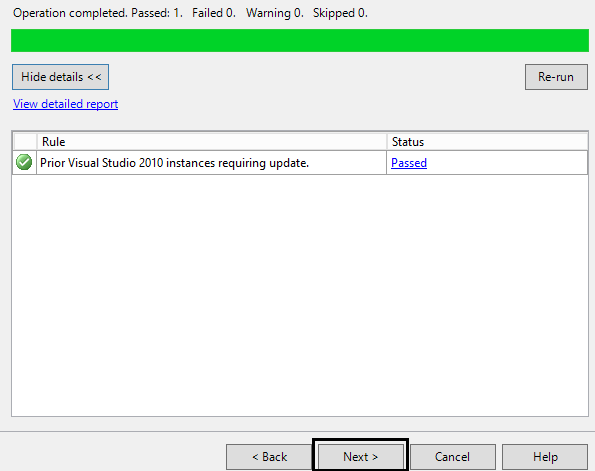 1.11 Installation Rules are ran. Click Next. 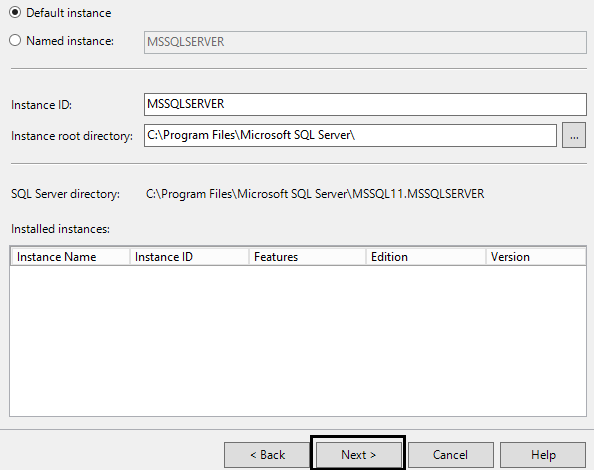 1.12 Here you can choose the name of the SQL instance you are installing, or you can keep the default instance name, which is MSSQLSERVER. Click Next, when you have made your choice. 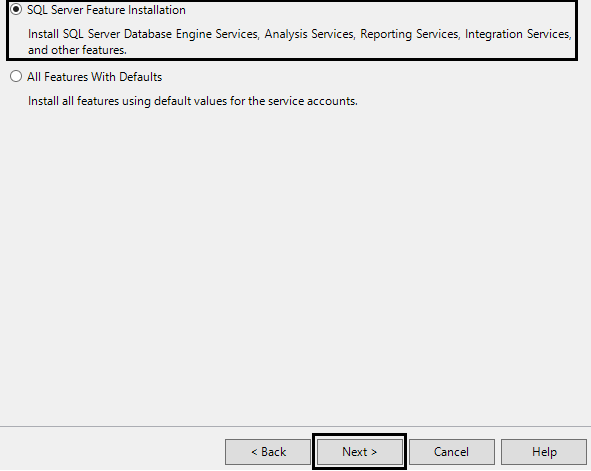 1.14 You can set which accounts will be used to start the different SQL services. I am choosing a domain account. 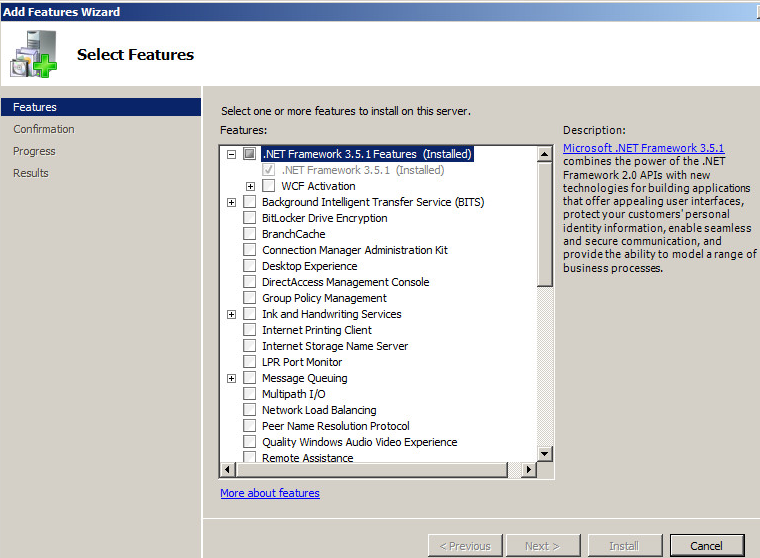 1.15 Now click on the Collation tab of the Server Configuration screen. 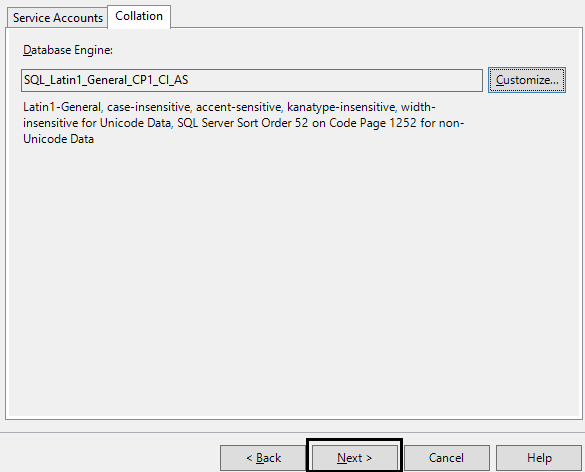 1.16 Choose SQL_Latin1_General_CP1_CI_AS, then click OK.
1.17 Now click Next on the Server Configuration screen. 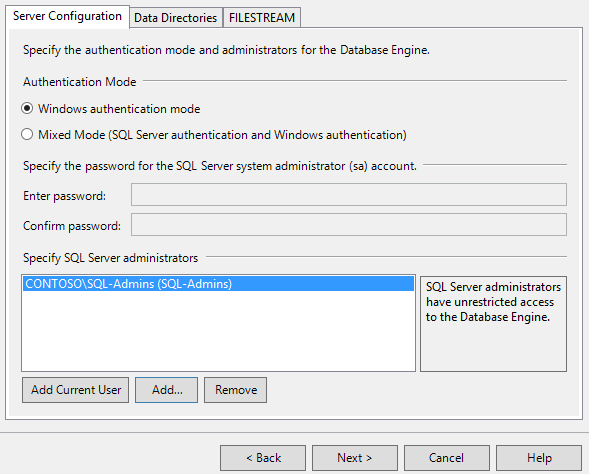 1.18 Specify which authentication mode you would like to use for the Database Engine, then specify SQL server administrators. As you can see I am choosing Windows authentication mode, and I am choosing to specify a group. 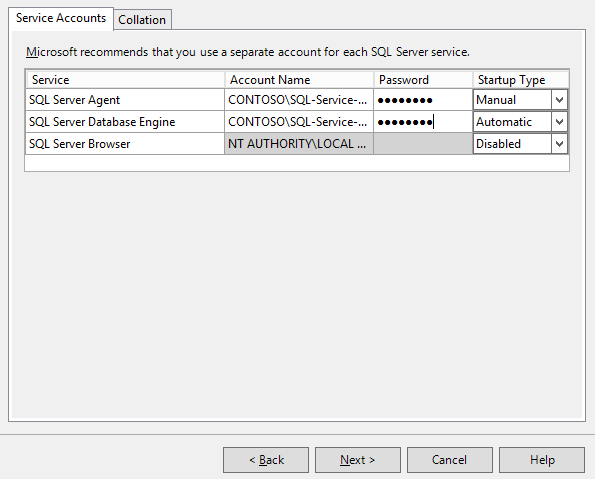 Which means that I can just add members to that Active Directory group, whenever I need to give someone administrative access to the Database Engine on this SQL Server installation. 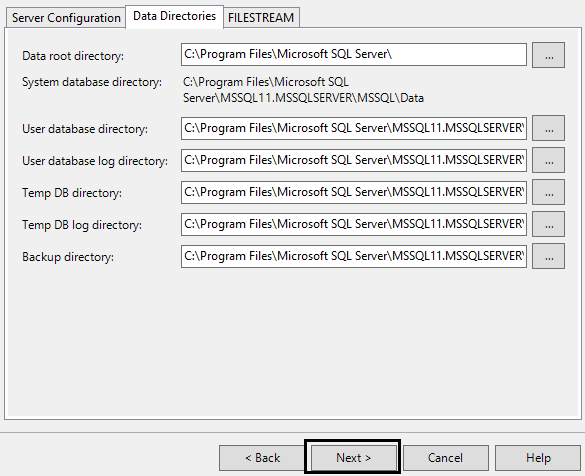 1.19 Click the Data Directories tab. Here you can choose to store these directories on different volumes if you like. Click next. 1.20 Make your selection and then click Next. 1.23 Click Close when finished. 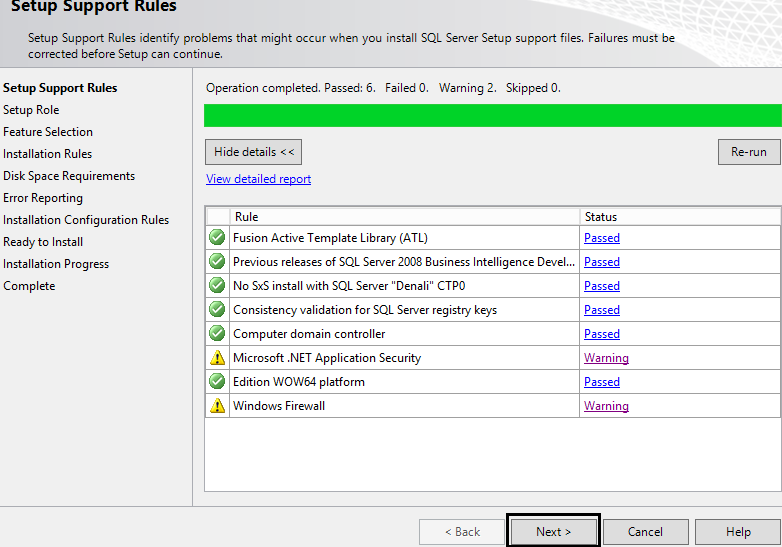 Next, install SQL Server 2012 SP2, which is pretty much a next -> next -> finish session.